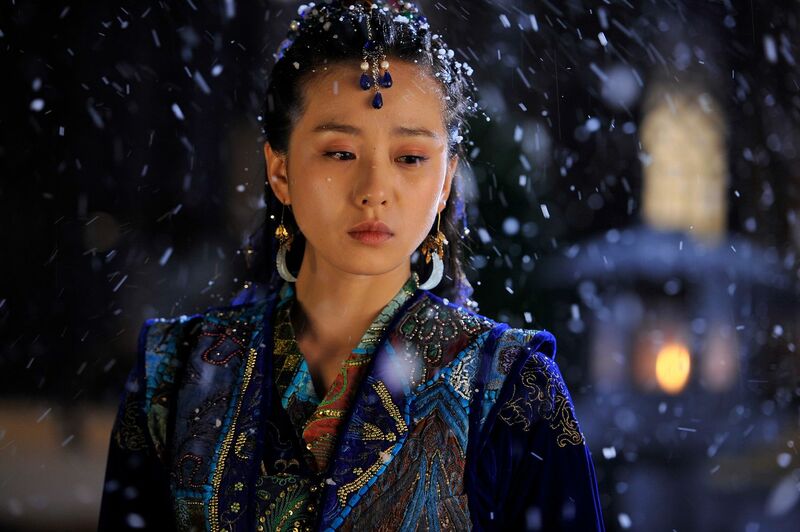 If that isn’t just one of the most lovely drama stills of a fully grown up picture of Liu Shi Shi in her comfort zone of the period drama. 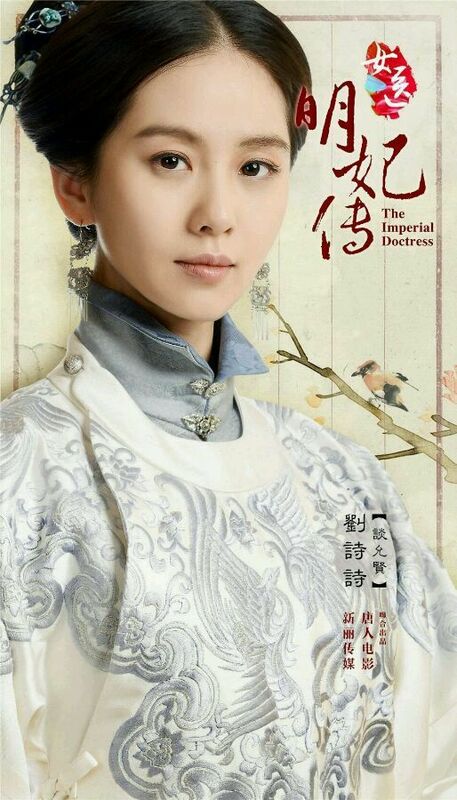 I’ve watched her seen since she was a teenager in her early dramas like Legend of the Condor Heroes 2006 and Young Yang’s Clan and she’s always looked the part of the traditional image of the “period Chinese beauty” but lacked gravitas and polish gleaned from work experience. 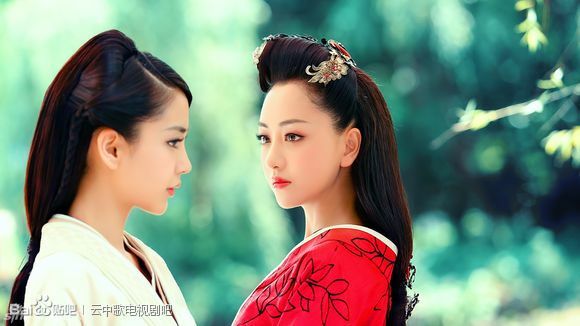 In the year since she’s been on a steady upward acting career climb with her most high profile and well-known product to date still the immensely popular Bu Bu Jing Xin (Startling with Each Step) and the critically panned sequel Bu Bu Jing Qing. 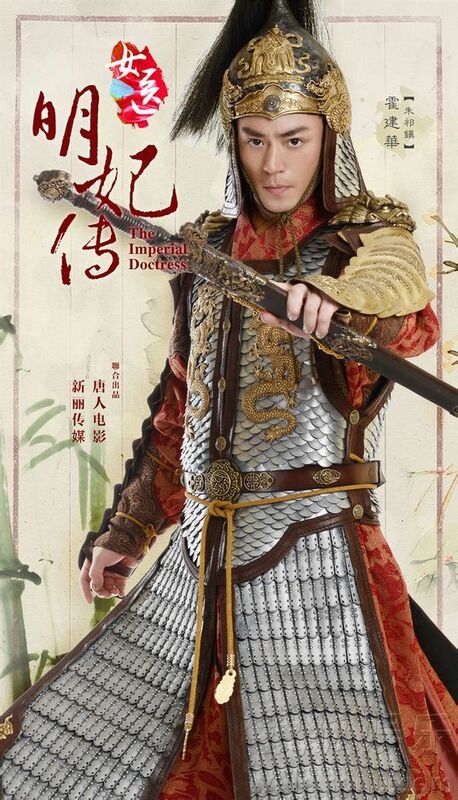 The company last month began production on a new period drama called The Imperial Doctress with Liu Shi Shi reuniting with frequent co-star Wallace Huo. 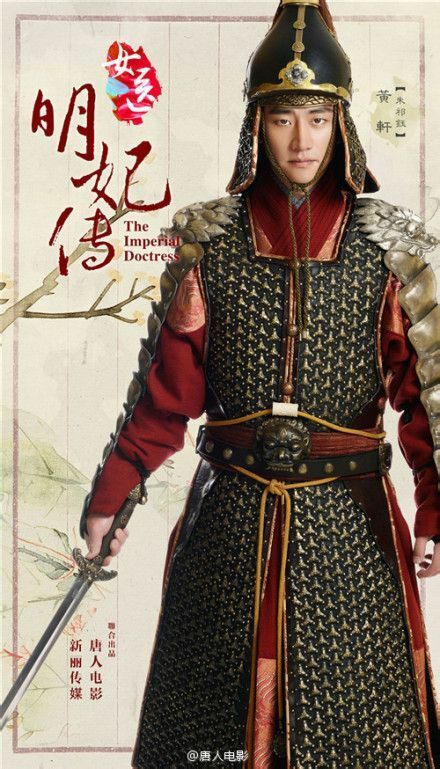 This is their third time working together after Chinese Paladin 3 and Strange Hero Yi Zhi Mei (The Vigilantes In Masks), but this drama isn’t a fantasy or wuxia but instead looks like a C-version of Dae Jang Geum. 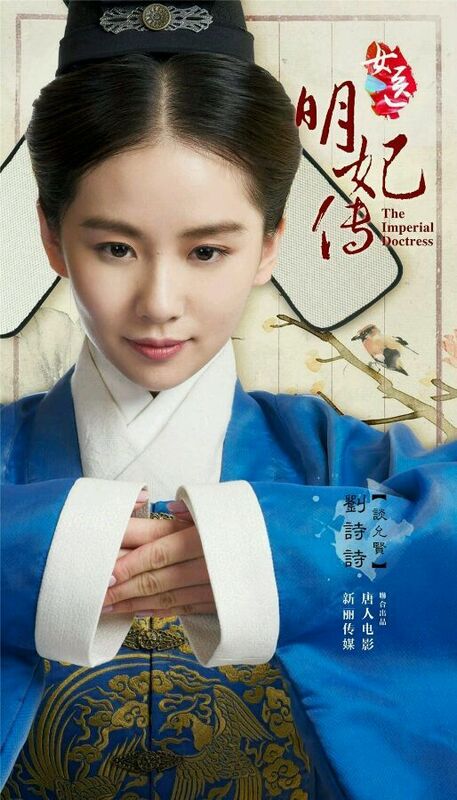 It’s about the life of real Ming dynasty female court doctor (one of the first female doctors in Chinese history) named Tan Yun Xian and throwing in a fictional love triangle between her and Ming dynasty Emperor Zhengtong (nee Zhu Qi Zhen) and Emperor Jingtai (nee Zhi Qi Yu, younger brother of Qi Zhen who ruled for an interim 8 years when Emperor Zhengtong was captured by Mongols). 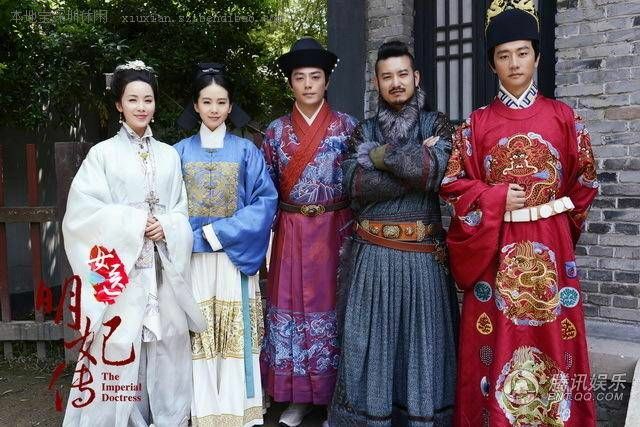 Shi Shi is playing leading lady Yun Xuan while Wallace is Emperor Zhengtong and C-actor Huang Xuan is younger brother Emperor Jingtai. 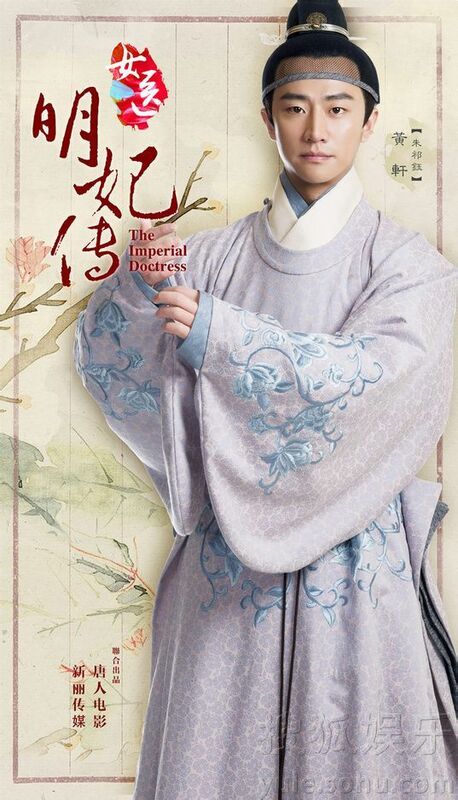 The first official drama stills are out and looks soooooo gorgeous, none of producer Yu Zheng‘s crazy colors and styles and instead is just exquisitely tailored and embroidered perfection. 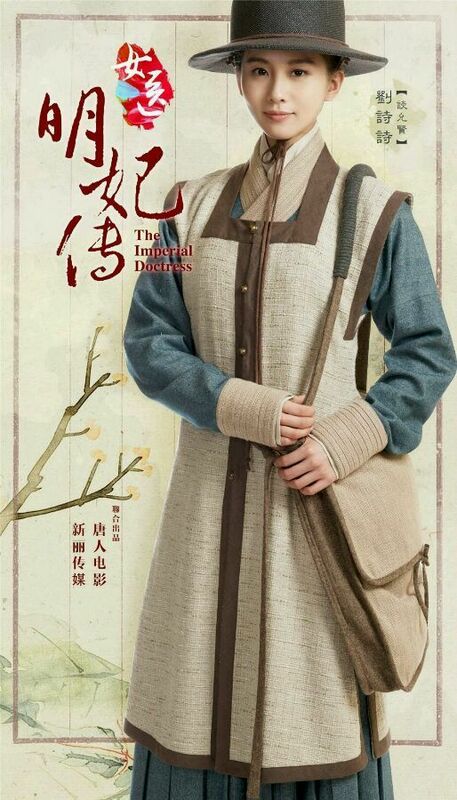 Shi Shi’s agency and the production company Tangren has the fully completed drama-adaptation of Tong Hua’s Da Mo Yao (now called The Song of the Desert and made completely fictional) ready for airing in June so that means more period beauty Shi Shi coming right up. I’m definitely keeping an eye out for the Imperial Doctress since it looks visually pleasing plus I’m on a Wallace kick these days so more hotness from him is always welcome. beautiful posters…thx for sharing! 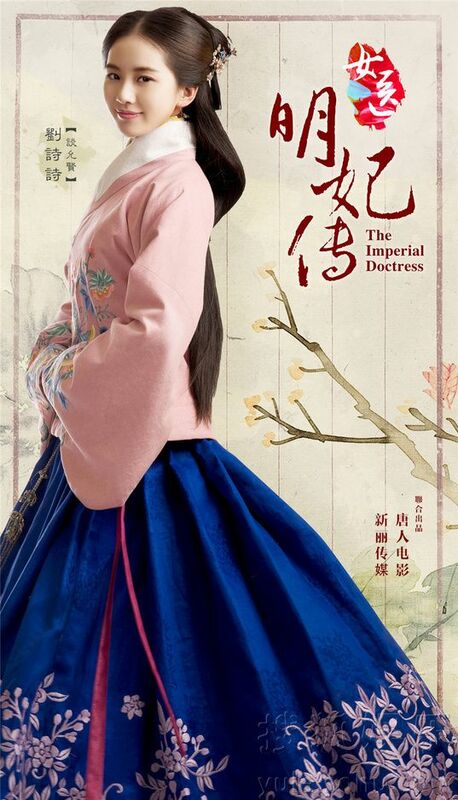 i look forward to watching this…hopefully it’s not too similar to Dae Jang Geum, but that it has its own unique flavour. 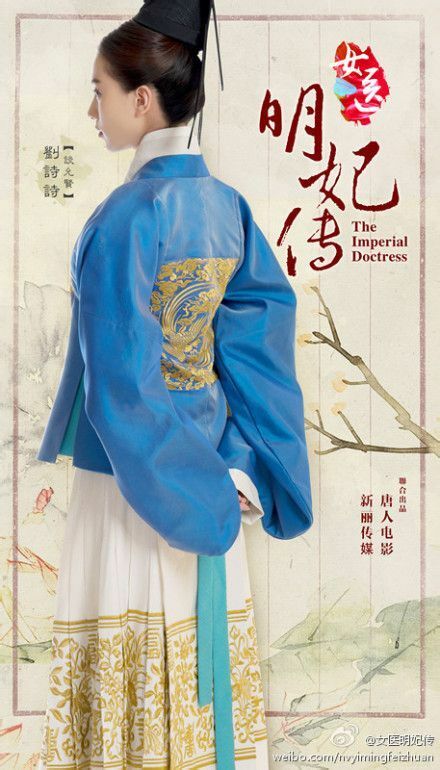 Shi shi looks so gorgeous in that first poster with the beautiful gorgeous spread out skirt in that lovely shade of blue. Can’t wait. Does she ever take a break from acting? Hasn’t BBJQ already completed its run and also you wrote that it was a really bad drama?? Lol, yeah, I was wondering why koala was saying “about to premiere at the end of April…”. Maybe she wrote this post a while ago and decided to make it public only now? Oh my! Look at all the beautiful people in the beautiful clothes! I love her “contemporary” doctoring outfit. I want to see this one sooo badly. LSS is one busy lady, isn’t she? 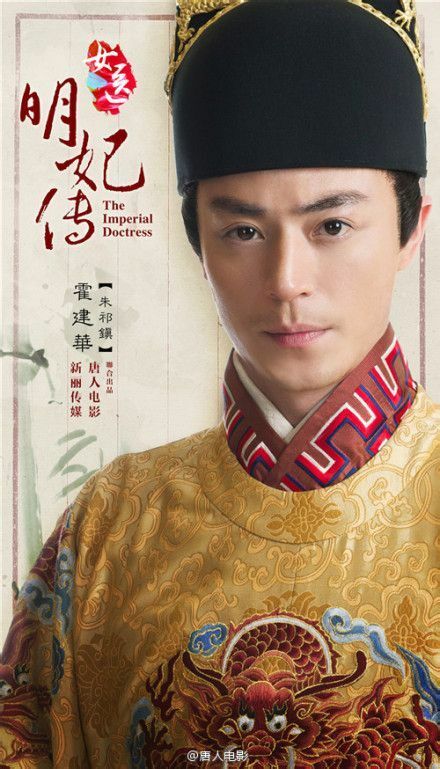 Ahaha, when I first read the title that wallace huo and LSS were pairing up for a drama, I was so excited… Then remembered they were in that other drama together and didn’t like that drama at all after checking it out. Yes, LSS works really hard, does she not catch a break?? To be honest, apart from the very first picture which looked amazing, the other outfits LSS is wearing looks decent at best, although I agree that costume department have clearly spent time on them. As for the men’s outfits, not really impressed. The blue on wallace I don’t like, the gold one is better. I just watched this two couple in Incisive Great Teacher. I must add, they are a good pair to watch. They have good chemistry. 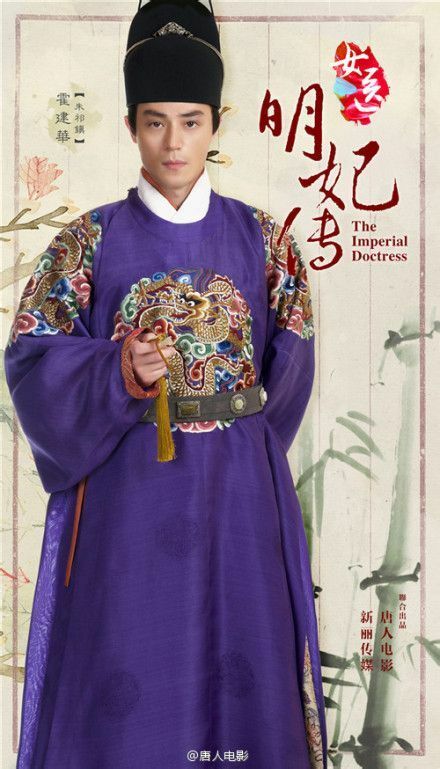 Looking forward to this drama but I wonder when will it air? All the C-dramas I’ve watched so far have had Liu Shi Shi and I’m probably biased because of that but I really adore her. 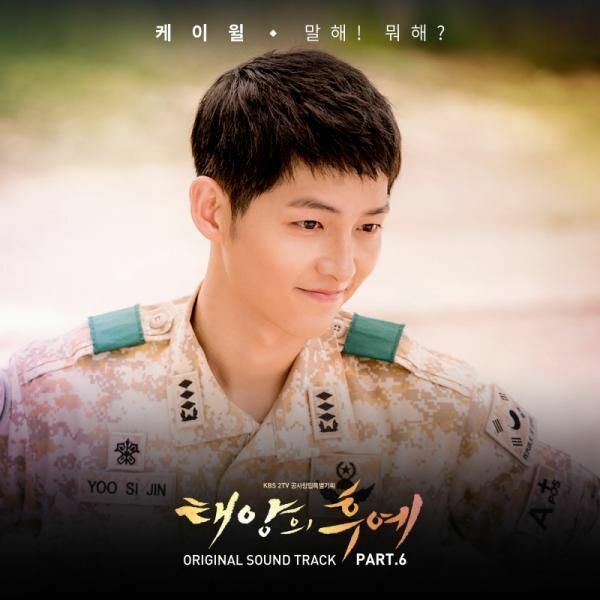 Yet another drama for me to watch out for! And good lord, I’m anxiously awaiting Da Mo Yao! 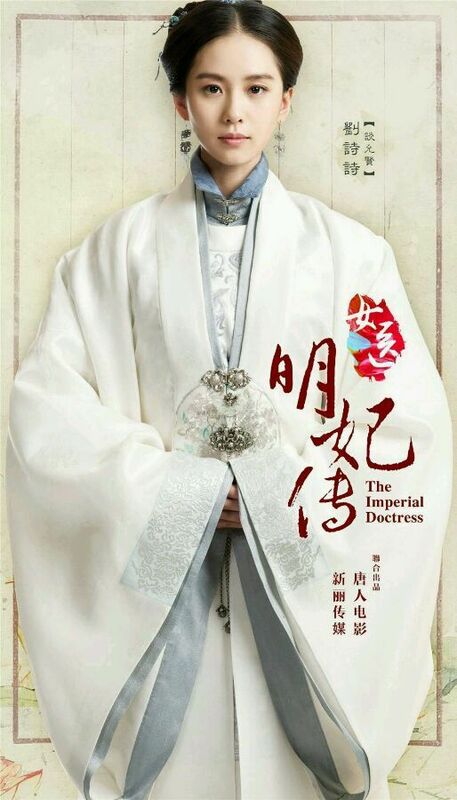 Shi shi is my favourite C-actress and while Wallace is my favourite C/TW actor so I’m totally looking forward to this drama! 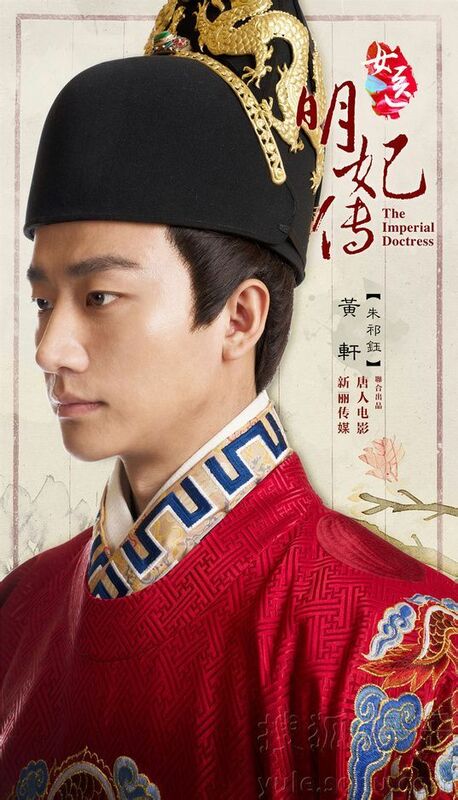 Both of them mainly film period dramas and they look amazing in ancient attire! 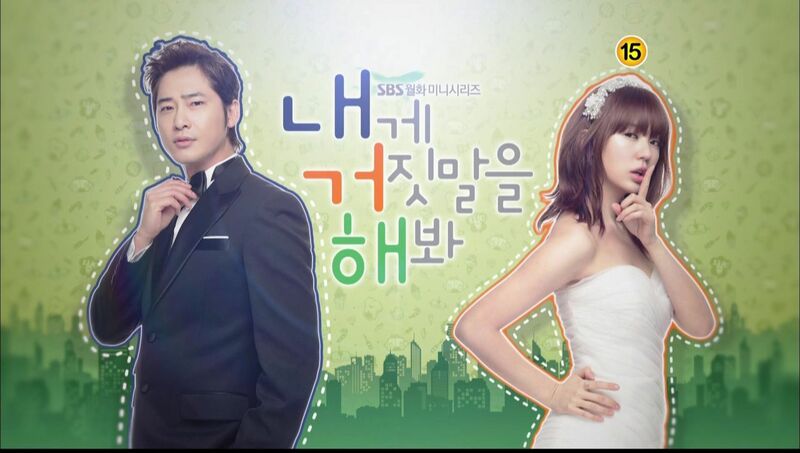 Can’t wait to watch this drama!!! Gorgeous costumes. 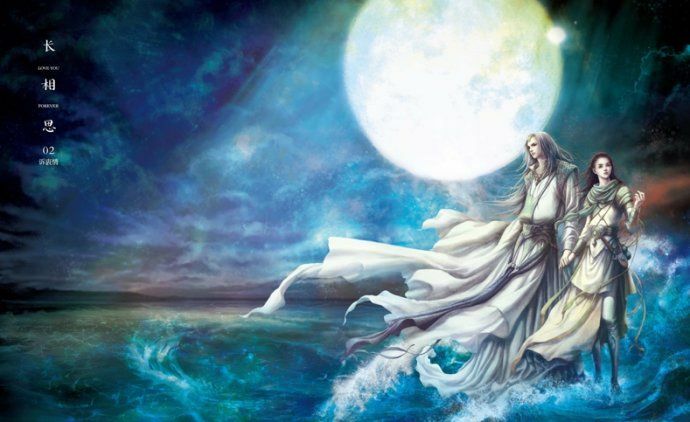 I love Shi Shi and Wallace in Yi Zhi Mei. Happy to see them together again although they won’t be lovers in this drama. Story wise, I have a feeling I still prefer YZM. Not a die hard for romantic dramas.